New Delhi, March 20: Mohammad Shami is keen to make an impact for Kings XI Punjab in the upcoming IPL but will be given adequate rest in between matches, said Kings XI Punjab coach Mike Hesson. There is a lot of talk around the workload of Indian players going into the IPL with the all important World Cup beginning two weeks after lucrative T20 league and India captain Virat Kohli has left it to the players to manage their workload during the competition. KXIP Squad in IPL 2019: Team Profile, Schedule of Kings XI Punjab in VIVO Indian Premier League 12. Shami has been one of India's best performers in 2018 and is expected to share the new ball with Jasprit Bumrah during the World Cup, starting May 30. CSK vs RCB, IPL 2019: Head-to-Head Records as Chennai Super Kings Take On Royal Challengers Bangalore in Indian Premier League 12 Opening Match. "It is going to be on a case by case basis. I have had chats with KL Rahul and Mohammed Shami. They are keen to make a big contribution for KXIP and we are certainly very keen to have them. We will manage them like every player throughout the tournament,” former New Zealand coach Hesson told PTI. 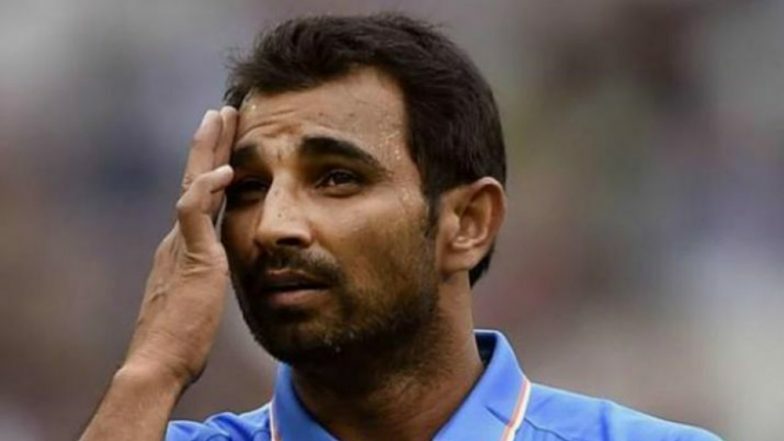 While Shami is workload definitely needs to be monitored, Rahul will be more than happy to play as many games as possible to get back into the groove. "If they feel little jaded during the course of the IPL, we will rest them. Whether they need extra training or rest, I am not sure for how many games we will rest them. We also have to see how the season goes for the team but they both are very keen to make a big contribution," said the 44-year-old, who was appointed as head coach in October. Most teams including KXIP will have to factor in the availability of foreign players in a World Cup year. West Indian Chris Gayle, South African David Miller and Afghanistan's Mujeeb Zadran, who all play for the Punjab franchise, are certainties for their respective ODI teams. "What I know about Ashwin is that he is a highly competitive person. That has not changed. He has been training well for the tournament and is fiercely determined. I don't think has changed (despite he not being in India's World Cup plans).” Hesson also has high hopes from veteran Gayle, who silenced his critics last year by scoring a hundred and three half centuries. Amongst the uncapped Indian players, he has been impressed with UP's right-arm pacer Ankit Rajpoot and Punjab left-armer Arshdeep Singh besides spinner Harpreet Brar.